As everyone knows, I am a command line guy. I am very much comfortable with the shell prompt and the command line SQL client. I do most of my work that way, and I am very much productive. However, there comes a time when even for a command line enthusiast a GUI can be helpful. 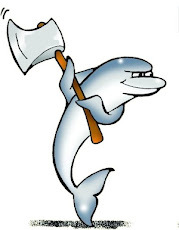 Here comes the latest MySQL Workbench 5.2. The first is when looking at tables that contain BLOB columns. Sure I can deal with them at the command line, but this editor makes my life easier. 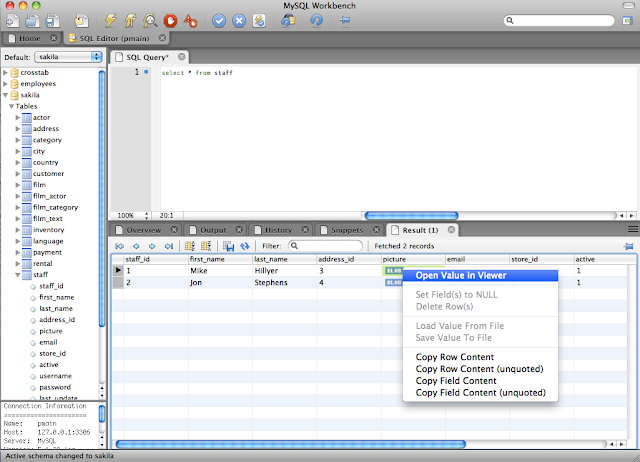 When a column contains a BLOB, you can open the field viewer. At first glance, this is nothing more than what the command line could provide. 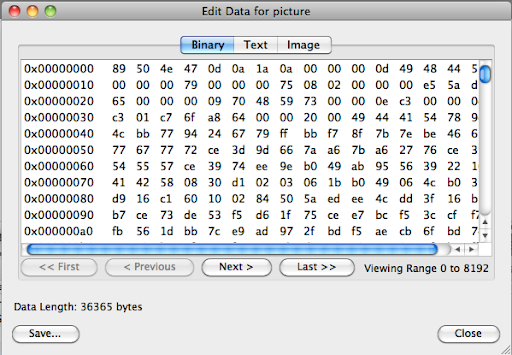 I could get output in hexadecimal format quite easily in any client. 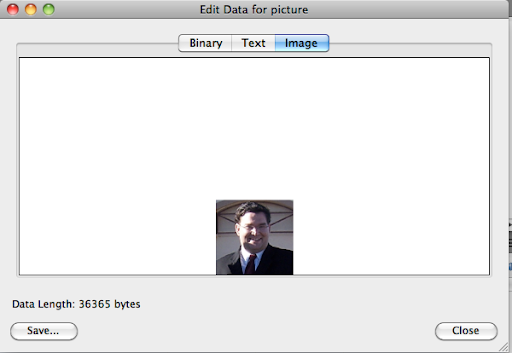 But, looking more closely, there is a tab labeled "image" that is not as easy to come by at the command line prompt. And there is Mike Hillyer, the main author of the Sakila database, who has stored his own image in the staff table for future generations. If you stick to the command line, you may easily miss this piece of self advertising. 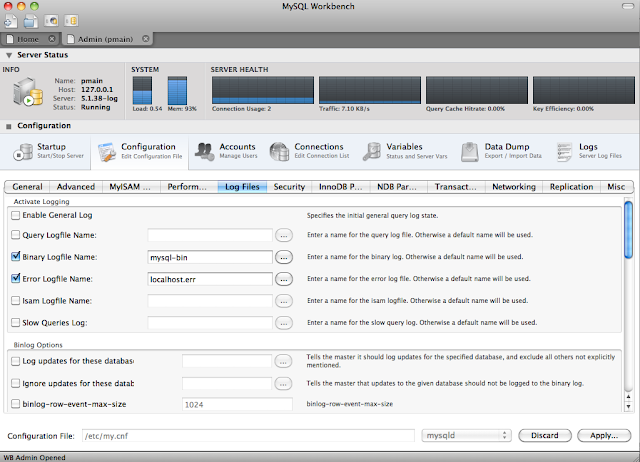 The second area where I like having MySQL Workbench is when I need to change my configuration file with less than common options. Since no human (apart from Sheeri, perhaps) can remember all the options, I usually need to search the manual. In WB, instead, I can edit the options file with the GUI, without need of remembering the exact names and spelling of the items I need. 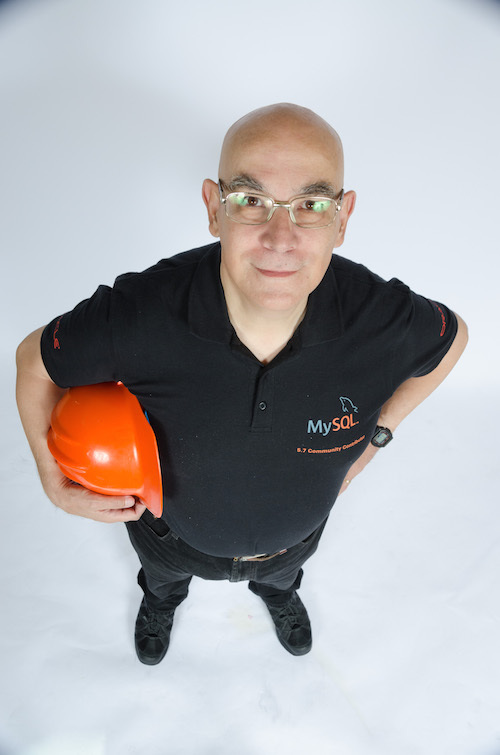 Now, if I couple the above issues with the notion that MySQL Workbench is A Useful Tool to Centrally Manage Many MySQL Instances, I think that every command line enthusiast should give this tool a try. Lastly, I should mention that Workbench 5.2 is becoming quite popular, as the downloads map shows.